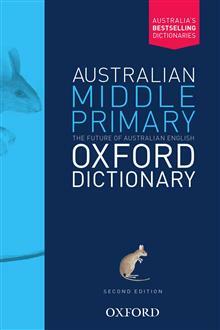 The Australian Middle Primary Oxford Dictionary is the most comprehensive and up-to-date middle primary dictionary, covering all the latest words students need to know. Written specifically for Australian school children aged 8-10 years and featuring over 25,000 headwords, the Au... read full description below. 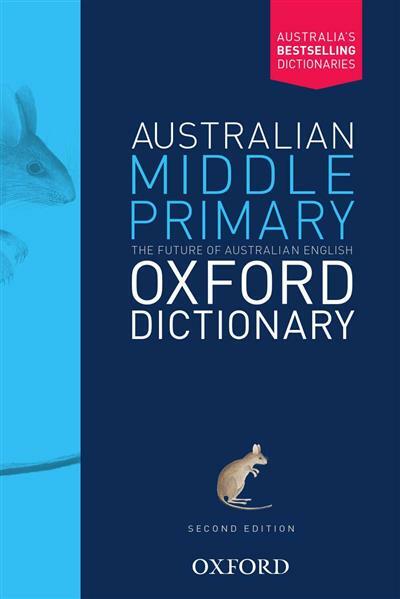 The Australian Middle Primary Oxford Dictionary is the most comprehensive and up-to-date middle primary dictionary, covering all the latest words students need to know. Written specifically for Australian school children aged 8-10 years and featuring over 25,000 headwords, the Australian Middle Primary Oxford Dictionary serves as a working tool in the classroom that accustoms students to the style in which most adult dictionaries are written. At the same time, this dictionary is easy for students to use because it avoids abbreviations and similar conventions. Like other dictionaries published by Oxford University Press, the Australian Middle Primary Oxford Dictionary draws on the continually updated databases of the Australian National Dictionary Centre and Oxford Dictionaries. The Australian Middle Primary Oxford Dictionary includes the following information about words:their meanings (definitions)their part/s of speech (how they are used in sentences)how they are pronouncedhow they are usedtheir spellingassociated words (word building)their originsadditional information.A grammar, punctuation, and spelling guide is also provided as an insert.